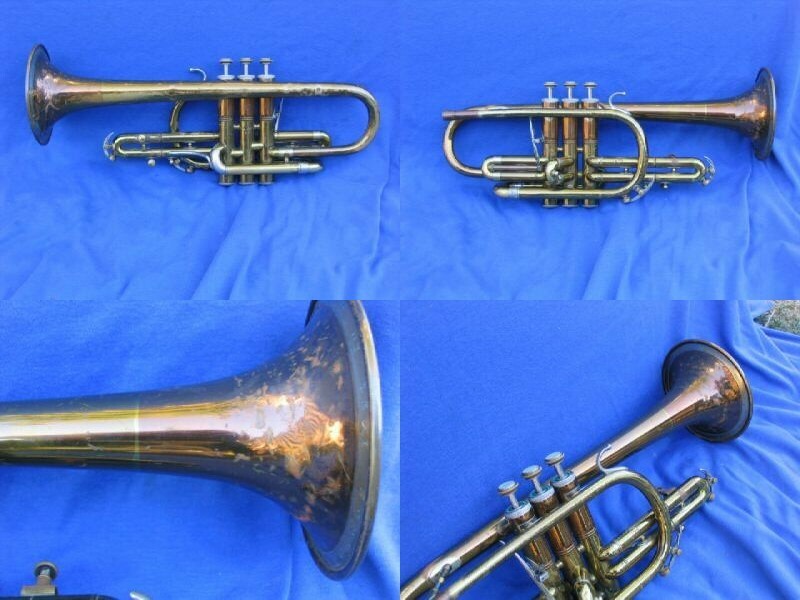 Introduced in 1949, Reynolds Contempora cornets featured a larger bore size, bronze alloy bell and distinctive first-valve tuning “trigger” mechanism compared to the earlier F.A. Reynolds models. Many believe that the Contempora was among the most outstanding cornets available in the 1950’s and that the large-bore model compares favorably even with the best cornets on the market today. 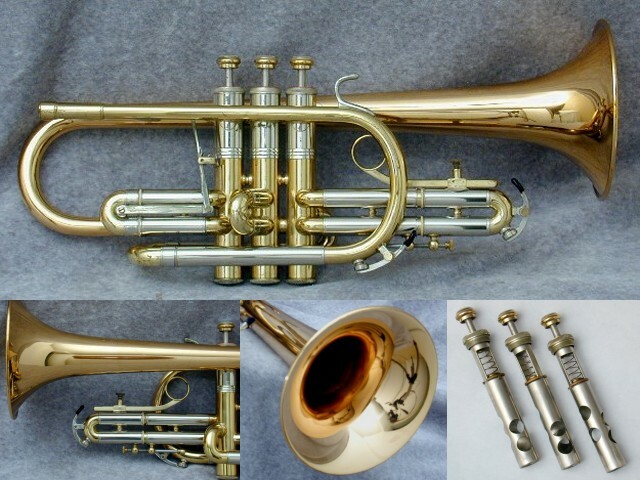 Introduced in the mid-1950s, the Reynolds Contempora “Leonard Smith” cornet featured nickel-silver valve slide tubes and an optional triple goldplated finish compared to the standard Contempora models. 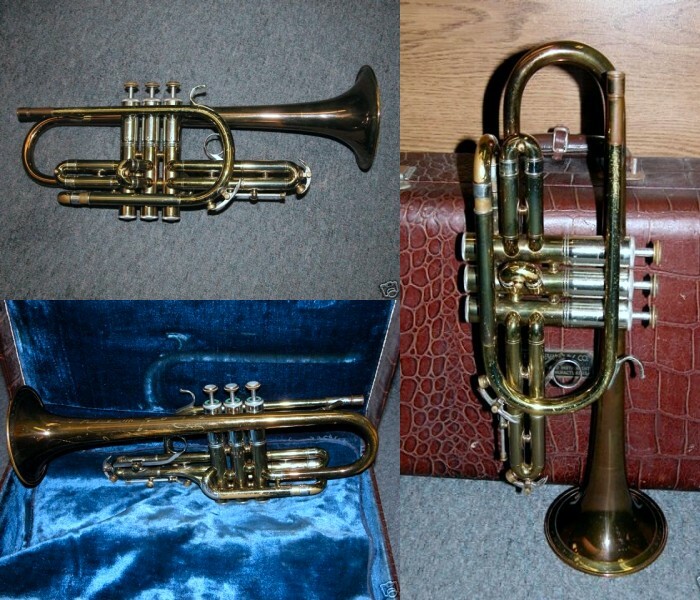 A variant of Contempora Model 20-L was made in the early 1950s [SNs 32000-34000] with copper upper valve casings (balusters), a copper mouthpiece receiver and a two-metal brass/copper bell flare. Contempora Cornets produce that true cornet tone, round and full, yet with the sparkling brilliance needed for solo work. Built with amazing precision, they are effortless to play. Their intonation is enthusiastically endorsed by leading artists. Famous Contempora features — monel valves and Bronz-o-lyte bell. Also available with first valve slide ‘trigger’ mechanism for accurate pitch control. Complete with genuine leather Gladstone style case. Chosen, endorsed and exclusively played by America’s greatest cornetists and cornet teachers. A truly exciting instrument of great range and true cornet tone, round and full, yet with the sparkling brilliance needed for solo work. Built with amazing precision, playable with the least amount of effort. 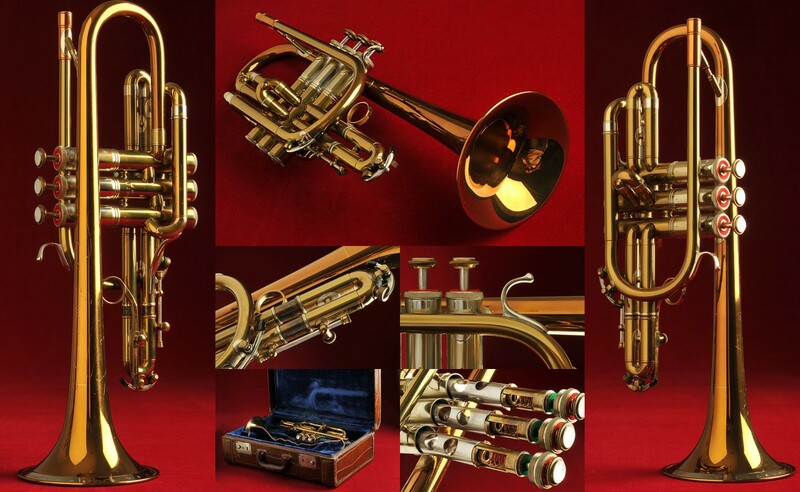 Superb intonation, Famous Contempora features – Monel valves and Bronz-o-lyte bell. Also available with first valve slide “trigger” mechanism for accurate pitch control. Complete with genuine leather, Gladstone style case. 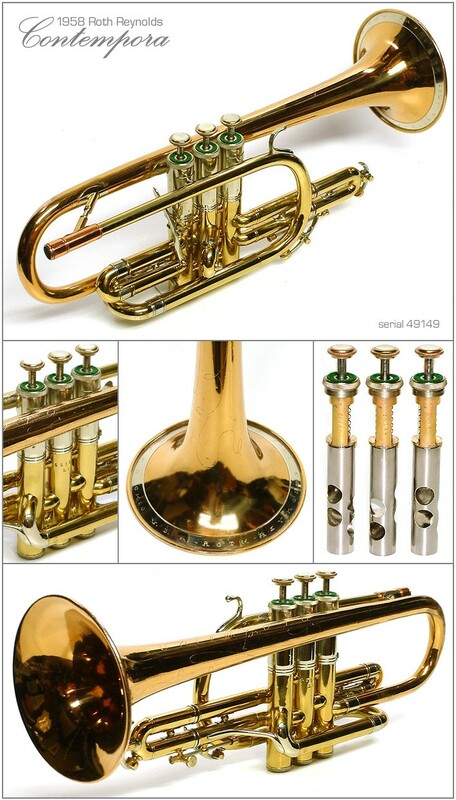 Designed and created to meet the exacting requirements of the world’s greatest cornet artist, Leonard B. Smith. Large bore model with exceptionally full and resonant tonal qualities. Enriched by the ‘Bronz-o-lyte’ bell and new Contempora styling. First valve slide ‘trigger’. Complete with deluxe luggage carrying case as an individual outfit or available in ‘deluxe double’ case as a ‘matched’ set. 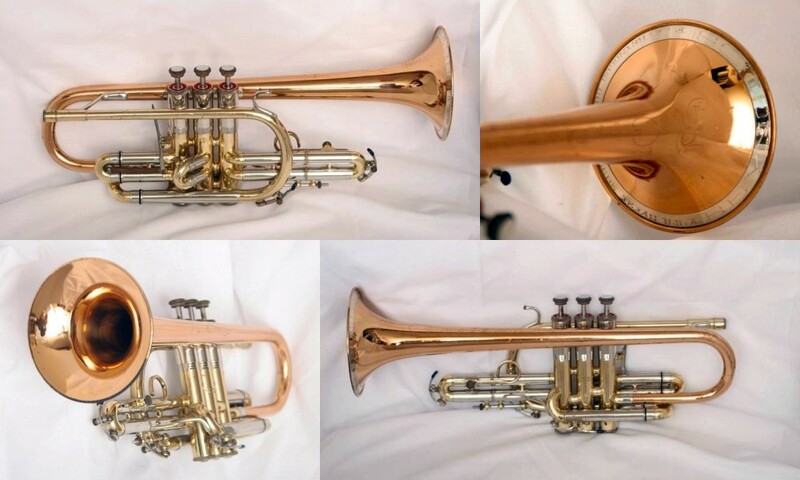 In the class of the professional Contempora TU-11 Trumpet, with all the same features: easy-action solid monel-nickel valve pistons; nickel-silver slides, trim and tone ring; bronze alloy bell; 1st valve trigger. A marvel for freedom of interpretation and control! 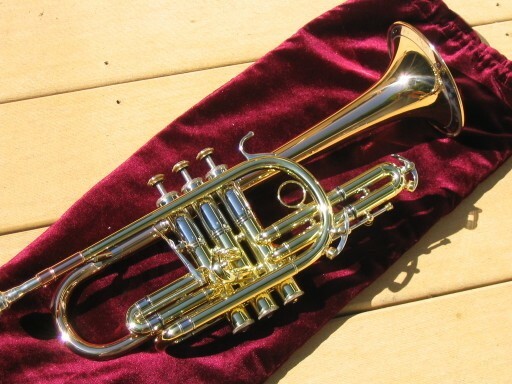 Contempora’s features combine to give you the finest cornet made today. This outstanding professional instrument is handcrafted and precision engineered for greater agility and tone performance. The tone ring insures a bright and incisive tone, and eliminates vibration-roughness. Lightning-fast valve action affords quick response for added versatility. Finish is highly color-buffed brass with long-lasting epoxy coating. 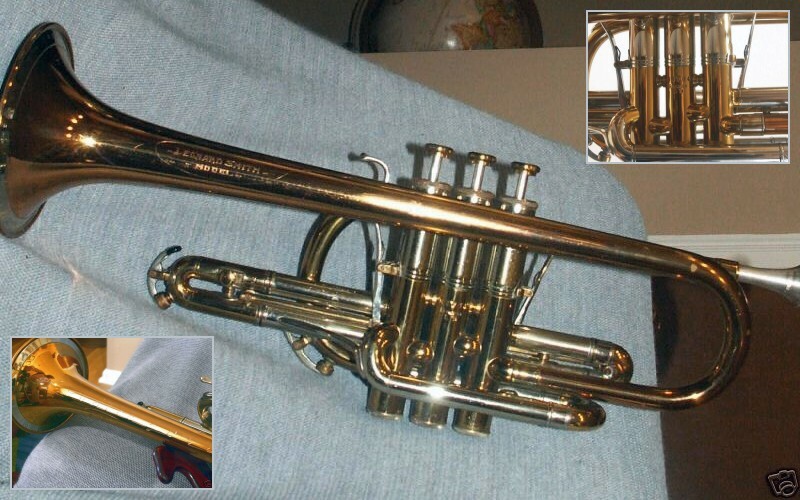 Contempora, Argenta and some Professional trumpets and cornets featured a first-valve slide “trigger” that allowed the musician to selectively adjust the intonation of notes using the first valve. A third-valve slide “trigger” was available as well for all these models at an additional cost.